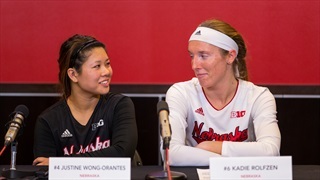 Justine Wong-Orantes, Kadie Rolfzen and Kelly Hunter will compete for a spot on the final roster for the U.S. ahead of next month's tournament in the Dominican Republic. 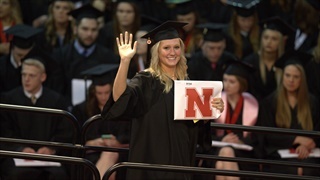 Data shows Division I female student athletes succeed academically at a rate that outpaces not just their male counterparts but also often the student body as a whole. Why? Cody Nagel analyzed the numbers and asked the experts. 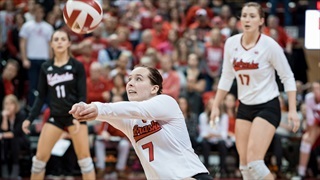 Nebraska seniors Kelly Hunter and Annika Albrecht were voted as two of the seven finalists for the AAU Sullivan Award, presented annually to the most outstanding amateur athlete in the country. 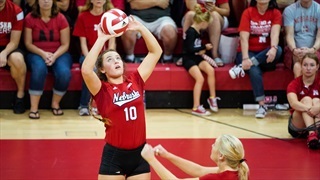 The Nebraska volleyball team will be without both of its setters from this year’s national championship-winning squad next season as redshirt freshman Hunter Atherton has decided to transfer according to a release from the university. 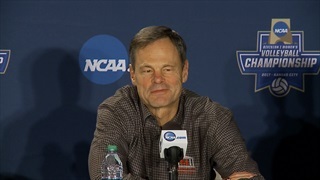 As the Huskers celebrated their fifth national championship, head coach John Cook remembered everything it had taken to get them there. 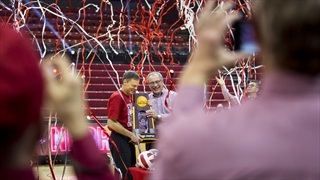 Hear what head coach John Cook, setter Kelly Hunter, outside hitter Annika Albrecht and athletic director Bill Moos had to say as the Huskers' celebrated the 2017 National Championship. 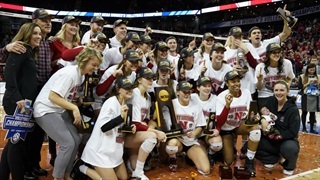 Nebraska claimed its fifth national championship on Saturday night, taking down the Florida Gators in four sets in front of a record crowd at the Sprint Center in Kansas City. Hail Varsity gets you set for Saturday's National Championship between Nebraska and Florida with sights and sounds and news and notes from Kansas City. 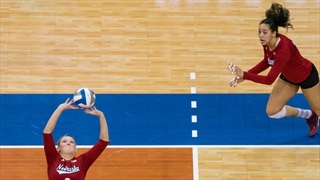 On Friday, the Huskers and Gators looked ahead to Saturday's rematch in the National Championship. 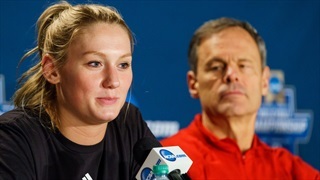 Following the Huskers' 3-2 win over Penn State to advance to the National Championship match, head coach John Cook, setter Kelly Hunter and outside hitters Annika Albrecht and Mikaela Foecke discussed the win. 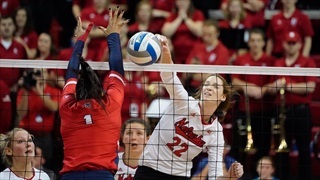 Kelly Hunter finished with 47 assists, 23 digs, six blocks and the game-sealing kill as No. 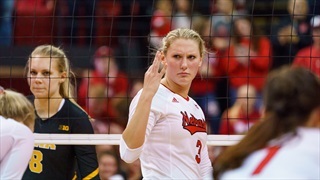 5 Nebraska beat No. 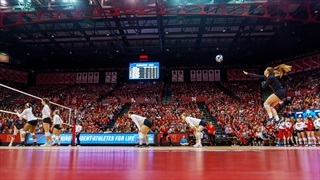 1 Penn State 25-18, 23-25, 24-26, 28-26, 15-11 in front of a record 18,374 fans (most of whom were wearing red) at the Sprint Center in Kansas City. 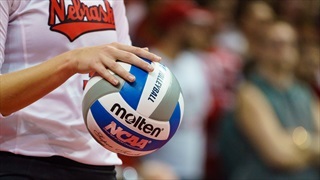 Nebraska heads into Thursday's showdown with Penn State riding a six-match winning streak against the Nittany Lions. How do those six wins compare to each other? Let's take a trip down memory lane and power rank them to find out. Hail Varsity gets you ready for the 2017 NCAA Volleyball National Semifinals in Kansas City. It can be hard to fully grasp the type of career Kelly Hunter has had as a Husker, so start with this: Penn State has never beaten a Nebraska team with her in uniform. Kelly Hunter, Annika Albrecht, Mikaela Foecke and Briana Holman all received AVCA All-America recognition on Wednesday. 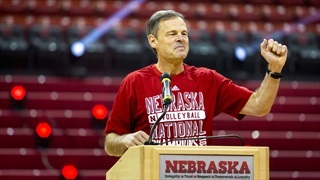 Final Four week is difficult for student-athletes and not just because of the level of competition, but Coach John Cook said the Huskers should have plenty of confidence heading into a yet another showdown with Penn State. Nebraska is back in Lexington, Kentucky for the second NCAA Tournament regional in three years. The Huskers are set to face Colorado in the Lexington Regional on Friday. Head coach John Cook, setter Kelly Hunter and outside hitter Annika Albrecht previewed what to expect from the Buffs. No. 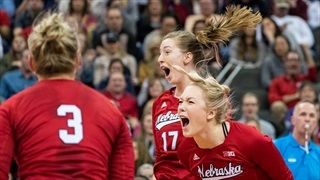 5 Nebraska completed a perfect 17-0 season at the Devaney Center and advanced to the Sweet 16 next weekend with a 3-0 win against Washington State on Saturday night. No. 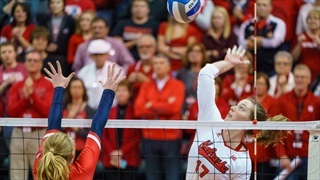 5 Nebraska made quick work of first round opponent Stony Brook (25-10, 25-14, 25-12) as the 2017 NCAA Tournament got underway on Friday night.